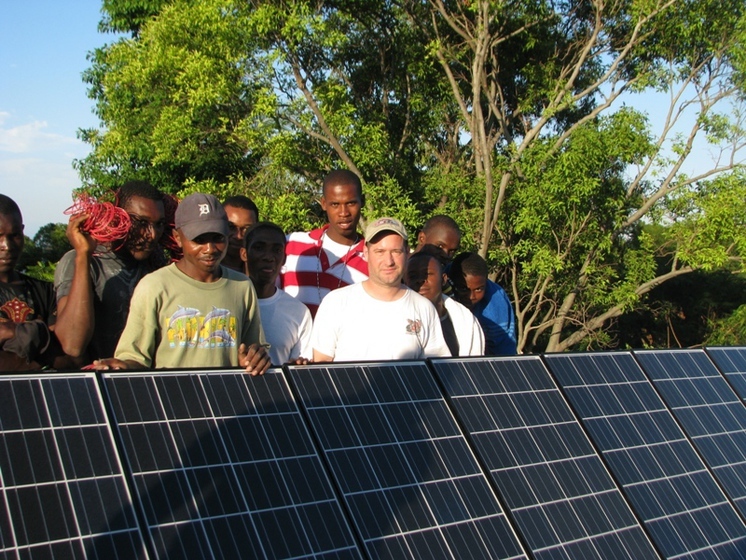 In January of 2010, Chad met with Chad Bissonette, Director of the non-profit organisation Roots of Development and agreed to a partnership to provide solar powered lighting to the village of Grand Sous, as part of its philosophy of community-based development. 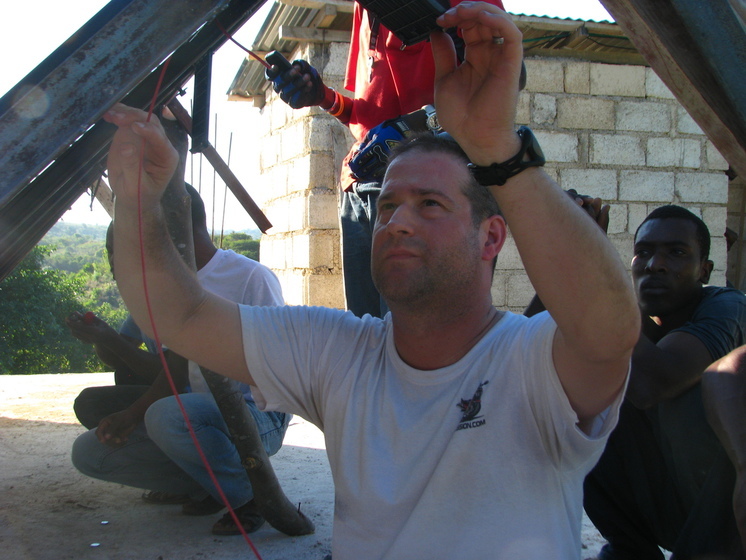 Two days later, the devastating earthquake hit nearby Port-au-Prince and their plans were put on hold as sustainable lighting assistance was no longer an appropriate response amid the destruction and loss of life. Indeed Grand Sous, on the island La Gonave, became home to some 40,000 people fleeing the destruction. The sudden influx of people and the loss of infrastructure on the island resulted in an immediate food crisis. A situation compounded by the loss of over 3,000 homes. Roots of Development responded with food aid and structural assessments of homes in danger of collapse. By June and with an easing in conditions, the local community board returned to a proactive stance and decided to resume building the second storey of the community center: the project to which Chad had become associated. By building a tool rental and construction supply house, the local community board hoped to secure a modest income stream that could, in turn, be used for future initiatives to benefit the village and surrounding area. Solar power and light would allow them to hold classes and meetings beyond daylight hours, generate income through cell phone charging programs and build an internet café that would allow residents to reach out to relatives overseas. Having a partner like Roots of Development was critical to Chad’s success. It leant credibility to his fundraising. In addition, Roots of Development could price and source materials locally and liaise with the village engineer in readiness for the photovoltaic system. Logistics are always a challenge in developing nations. Haiti proved to be no different. Chad was forced to watch nervously as locals transported £7000 worth of solar panels and batteries to the ferry by rowboat ready for the journey over to the small island of La Gonave. This was followed by a bumpy two-hour ride hanging on to the side of a four-wheel drive pick-up as it edged up the mountain to the village. The first full day onsite was not without its problems. The local electrician crossed polarity on the inverter and damaged it. Some of the wiring runs had been misjudged and there was nothing available on the island. 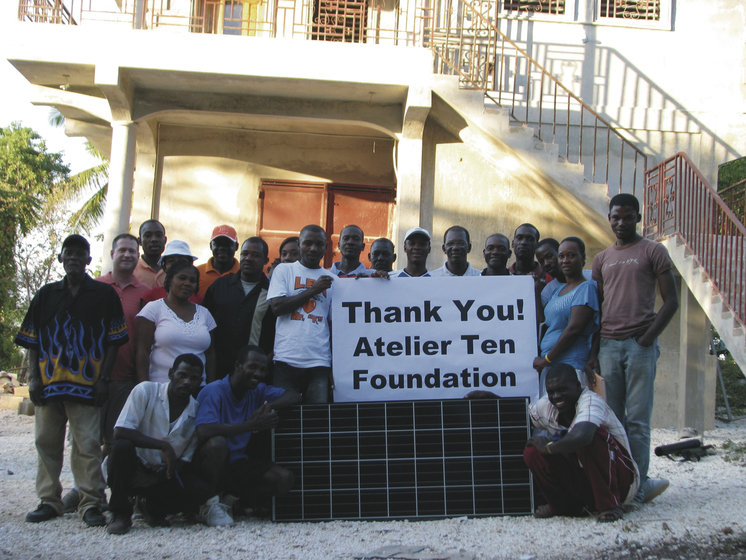 The result: a return journey to Port Au Prince for more equipment. This involved an early morning motorcycle trip down the mountain to make the first speedboat to the main island followed by a series of public buses to keep costs down. After picking up what was needed, there was barely enough time to make the last “pirate ship” back to La Gonave Island. Now that the system is complete and operating and the group understands the capacity available, other ideas are being investigated including a freezer to make ice for sale, and a small public lighting initiative in the town square leading to the water source. Best of all, the people of the village are deciding for themselves the best way to use the capacity of the new solar power system to yield the maximum benefit for all. By treating development as a process rather than a series of completed projects, communities can have greater long-term success. Working closely with community organisations fosters ownership, a key component of a successful development project. However, while a successful can improve the standard of living for many, it does not necessarily make it sustainable. Visit the Roots of Development website or view the photos.